I wanted to play with my latest My Monthly Hero Kit before the next one arrived 😉 so decided to create an ink-blended scene with silhouette images. Looking at the photo, I now see my elephant is standing on his front two feet and his back feet up slightly up in the air, but let's just say that's an indication of how strong he actually is 😄. I used various Distress Inks to create my background and also my frame. 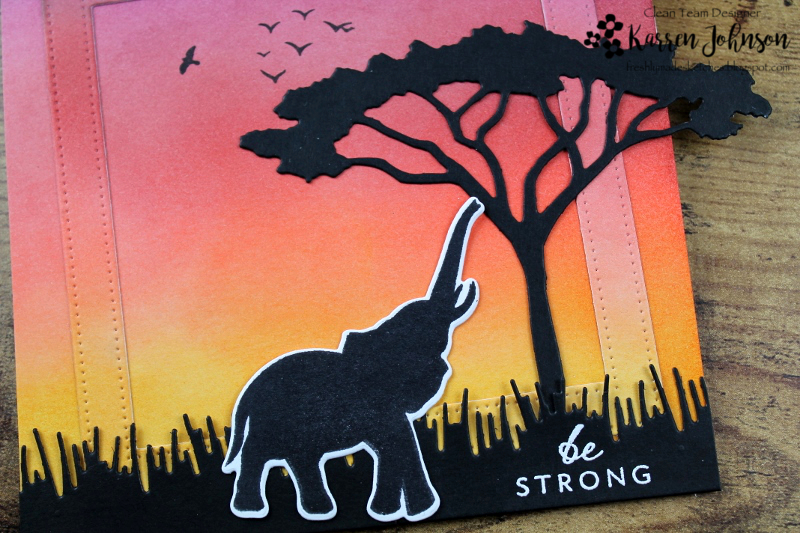 I then adhered my frame at an angle on the card base before adding the die-cut grass and tree and the stamped and die-cut elephant. Finally I stamped some birds and white-embossed the sentiment. I love, love, love the Hero Arts kits - they are such value for money and the images are fabulous! My latest kit arrived yesterday and I'm looking forward to using it. 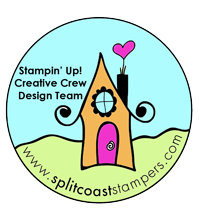 Head on over to the blog to see what the rest of the DT have done with this sketch. As always, their cards are an inspiration. That inky background is fabulous! Beautiful silhouettes against it! Love this set! 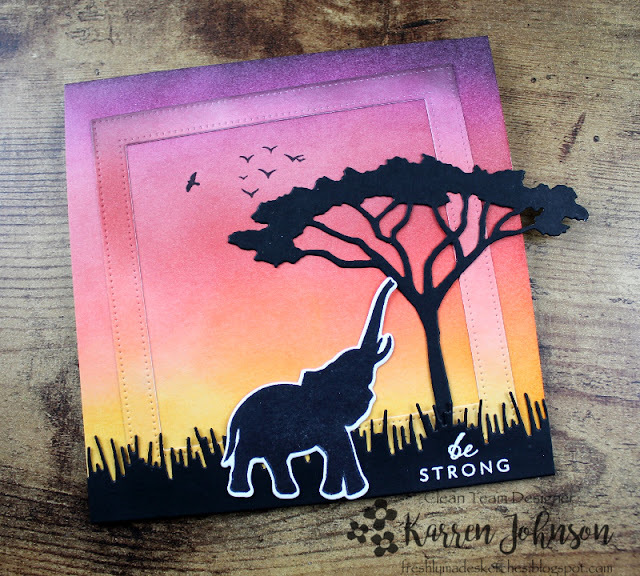 Gorgeous sunset sponged BG on your wonderful card! Love your African scene with that spectacular evening sky in the background! 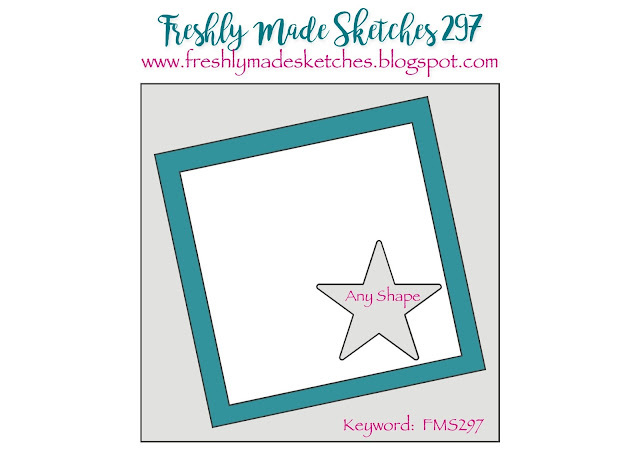 Gorgeous background and I love your silhouette images, Karren! It reminds me of a scene from South Africa :) Such a lovely take on the sketch! Not only do I love your ink blending, but I love how you've blended the frame right into the scene. Gorgeous card, Karren! What a fabulous scene! The sponged background sets off the silhouettes perfectly! This card is so beautiful Karren! I love the background - it's amazing!!! Those colours are so vibrant! Love the silhouettes as well. That little elephant is so sweet! Great sentiment!